COME SATURDAY NIGHT in Los Angeles, all the talking and everything else will be over and we are going to find out who the true top man in the heavyweight division really is. Our man Tyson Fury, after two and a half years in the boxing wilderness, will certainly have a spring in his step when he strides into the Staples Centre for his moment of truth against the WBC world champion Deontay Wilder. A number of people, probably understandably, questioned the timing of Tyson jumping back into the deep end after his two comeback fights. The fact of the matter is Tyson himself believes he is ready. Tyson is a very bright individual who wanted this fight badly. He is a student of the sport and really knows his stuff, so he knows what he is up against and is very confident. I don’t think he can get any fitter than he is because he is in tip-top condition. Could he have done with a few more fights? Maybe. But, the bottom line is, that doesn’t matter now, the fight is happening and that is what he will deal with. He is someone who has barely been out of the gym in the last 18 months and you’ve only got to look at the transformation and definition of his body. First of all he lost weight and that is there for all to see, it is now more about the fantastic conditioning he has about himself. Without a doubt he is more battle hardened now – even without a string of comeback fights – because of the continuous work and sparring he has put himself through. His engine has never been in question and even when he was at his heaviest he still breezed through numerous rounds of gym combat. He has put the work in and then some for what is probably the most important fight – inside the ring – he has ever been involved in. Anyone can lose weight, but getting match fit is a different thing altogether and that is what he has been working so hard towards. All the reports on this front have been positive. Now it is a case of him getting in there and imposing himself. For me this fight is all about Tyson, it is not about Wilder, it is all about him. 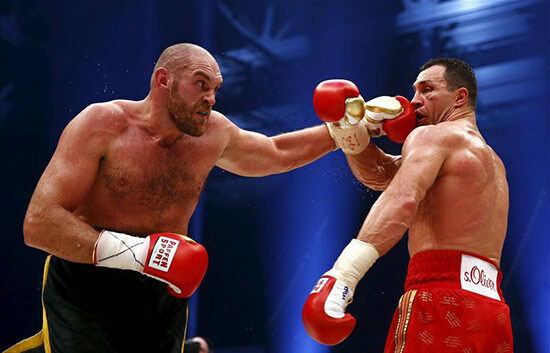 The Tyson Fury that beat Wladimir Klitschko, I believe, would beat Wilder. Since then he has only had the two relatively gentle tune-up fights, but mentally he is probably a stronger person and boxer now. The trials and tribulations he has overcome have grown him as a person and he has matured greatly. He is not an old man at just turned 30 – which is not old for a heavyweight – and he is not a fighter with a lot of miles on the clock. So he has now got to go out there and put the performance of his life in. Tyson has got to get this fella’s respect. It is not just about going in and simply making him miss and all that. He’s got to get the respect because it is then about breaking his heart and wearing him down. That’s what I want to see him do. I want to see him absolutely frustrate this fella, yes make him miss, but most of all make him pay when he does. 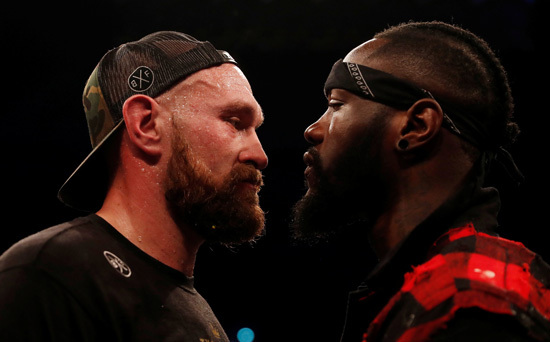 It is a risk the same as all fights, but it is also a big risk for Wilder because he is going in there as favourite and they are banking on the fact that Tyson’s inactivity and lack of condition over the last couple of years will count against him. Whether that is the case, along with everything else, we will see on the night. One thing is for sure, Tyson will have the support and backing of the British public who have really warmed to him since he showed his true colours and let people see the real Tyson. He has put his heart on his sleeve and shown people that he is the same as everyone else in going through issues in life. He has dealt with his and they are still ongoing, but he is dealing with them. He is overcoming his problems by reverting to what gave him respect and self-esteem in the first place and that is his boxing. I strongly fancy boxing will have a new WBC world champion on Sunday morning after one of the greatest comebacks in sporting history. 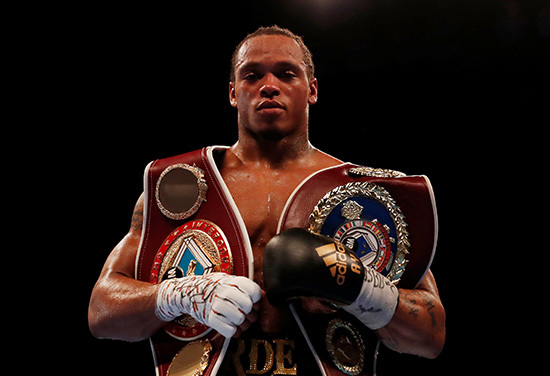 BT SPORT VIEWERS should tune in nice and early on Saturday night and catch our top young light heavyweight Anthony Yarde reminding the US audience what he is all about. Anthony ventured Stateside in September 2016 when he featured on the undercard of Liam Smith vs Saul Alvarez at the AT&T Stadium in Texas. He caught the eye of many with a quick-fire first round victory in his eighth professional fight and now we are taking him to LA to further broaden his experience and prepare him for the challenges the lie ahead. He is one of the most charismatic and talented young people in British sport and performing on such a huge stage will only serve to widen his obvious appeal ahead of his own step up to world title contention.